Running applications through an onsite server at your own office, rather than in the cloud, can rack up huge expenses. In addition to paying for the software, you also have to pay for a client based server system to support it. Although this will enable your practice to store large amounts of data, it’s not cheap. Moving your day-to-day business functions, including your practice management system and electronic health records to the cloud has the potential to save you money in the long and short term. Most cloud services use a pay as you use price model or charge a monthly subscription fee. This means that you won't be paying for space that you don’t use. Even though some monthly subscription fees may seem high, if you take into account all extraneous expenses associated with servers, it is cheaper in the long run. With a monthly subscription, you are cutting out ongoing maintenance and upgrade expenses. By using the cloud, maintenance is performed and your system is upgraded automatically by the vendor. This not only saves you money on hiring experts to maintain your system, but also means you won’t have to take time out of your busy schedule to maintain these updates. Having in-house servers requires your practice to have extensive IT knowledge. A team of experts will need to be hired to install, test, and secure these applications. However, if you choose to use cloud services, they require minimal set up and are updated automatically. Another advantage of cloud based technology is that it is easy to integrate with software that you may already be using. With the cloud, your storage space is unlimited. Filing cabinets can be a thing of the past and you will free up precious space in your practice. Even though you have unlimited space, you’ll still only be paying for what you use. Not only will you be able to store as much information as you’d like, the cloud also has a big convenience factor. The information you store on the cloud can be accessed through a variety of devices. Computers, smartphones, and tablets all allow you to access your information from anywhere, as long as you have an internet connection. If your staff is granted access to the information, collaboration is seamless. Since data in the cloud is updated in real time, employees can see all the latest changes, view documents that are still in progress, and collaborate on projects together simultaneously. Data loss can happen for a variety of reasons and many of them are out of your control. You can experience hard drive failure, theft, fire, or even spill coffee on your laptop. Since these accidents can happen at any time, you are required to constantly remember to conduct physical backups. However, with the cloud, your files are automatically being saved and backed up online. Information that you may have otherwise lost is usually able to be recovered by cloud service providers. A common concern with the cloud is that your information is not secure. However, in terms of backup redundancy, fire prevention, disaster recovery, and physical security, using the cloud is more secure than what you’d most likely be able to implement yourself. The government mandates regulations to ensure that data stored in the cloud is protected. Also, the top providers have written guarantees with serious penalties if your data is compromised. Cloud providers will make sure your data is kept secure, but it is your job to keep access to cloud data in the right hands. Local and cloud applications both use similar technology for user authentication. Remember to always log out of your accounts and use strong, complicated passwords. The future in cloud computing is a bright one. 71% of technology experts and stakeholders agree that by 2020 most people will work with internet based applications. And over 66% of global organizations are planning to adopt cloud technology in the near future. 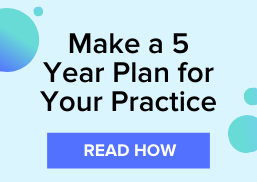 So why are you still wasting time and money running applications in your own office, when the cloud has so many advantages for your practice? 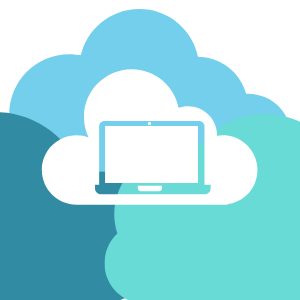 Want to learn more about cloud computing and what it can do for your practice? Download our Rising Up to the Cloud in Optical Practices e-book today!